G.E.M Is Coming Back To Malaysia This June! Good News for all the Penangites!!! G.E.M is coming to Penang!!! In less than a year, G.E.M is making her comeback to Malaysia once again. 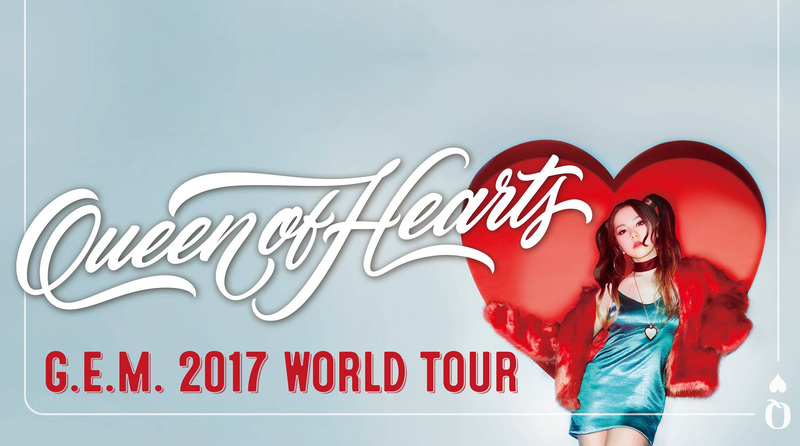 If you missed her “Queen of Hearts” World Tour which was held in Axiata, Bukit Jalil last November, this is a CHANCE for you! So you better don’t miss it again. Why did I said it’s a CHANCE? Well, guess what, she is going to perform her biggest hits from her latest album “Heartbeat”. There are also ballad songs produced in her latest album such as “One Way Road”, “Long Distance” and a lot more. For people who haven’t listen to her latest album, please do so because it’s simply INCREDIBLE! Ticketing information is yet to be disclosed by IME Asia, but if you want to find out more, do visit IME Asia for more info. Anyhow, do keep your schedule clear on the 30th June 2018 (Saturday), 8pm and be ready to rock your world at Spice Arena, Penang!